PRAGUE, November 11, 2015: Colliers International announced today that it provided its advisory services on the sale of the Olbrachtova 9 office building in the popular Prague 4 office district to a local property fund represented by MINT Investments. 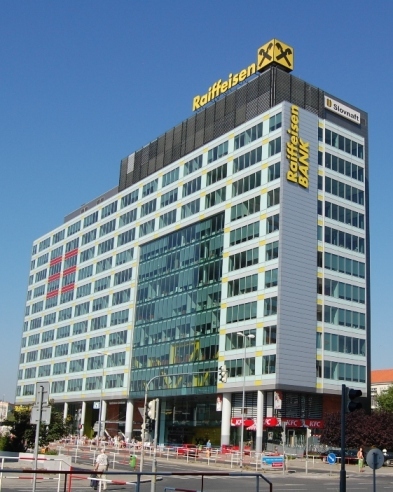 The gross transaction value totalled approximately €50 million, which represents the largest single office investment transaction to be closed in the Czech Republic in 2015. The Class A office property, which was constructed in 2002, offers 19,000 square metres of office and retail space on 12 floors. Key tenants include Státní fond životního prostředí ČR, Opel, Provident Finance and Raiffeisen Bank. The transaction represents the first acquisition by this local property fund representing private Czech investors. The purchase was made in partnership with Czech based asset manager MINT investments, who represented the buyer throughout negotiations and will provide ongoing real estate management services. The Seller was represented by Colliers International, Schöenherr and KPMG, whilst the buyer was advised by White & Case and KPMG.